30 Disposable Nursing Breast Pads with Rustle-free impermeable layer. Rustle-free impermeable layer. 100% Pure Cotton Absorbent Core. Discreet, due to their anatomical shape that adjust perfectly to the curve of the breast. Soft and gentle on your skin. Explore the entire range of Breast Feeding available on Nykaa. 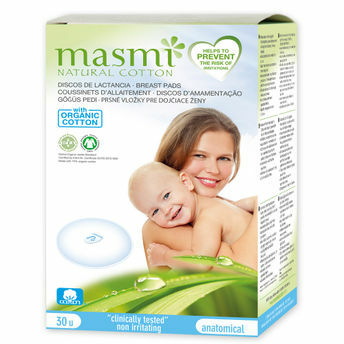 Shop more Masmi products here.You can browse through the complete world of Masmi Breast Feeding .